To contribute to the development and maintenance of best practice models and assessment strategies in line with regulations (where applicable) in order to facilitate world class risk management. Research and make recommendations for corporate citizenship initiatives in area of influenceParticipate and support corporate responsibility initiatives for the achievement of business strategy (e.g.. Green Strategy). 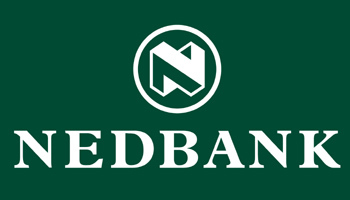 Seek opportunities to improve business processes; models and systems by identifying and recommending effective ways to operate and adding value to Nedbank. Contribute to the development of differentiated; superior solutions (solution engineering) that meet stakeholder and business requirements through analysis. Ensure product and/or solution design is congruent with the required business specifications through meeting stakeholder requirements timeously. Ensure business needs are met by engaging and assisting business through face to face interaction and attendance at forums and committees . Assist the business to address queries by extracting and analysing data. Perform ad hoc analysis and complete data requests through monitoring of data as per client specification. Ensure continuity and knowledge base through documenting and recording processes and models. Provide insights enabling growth through analytical research; systems and marketing insights by delivering analytical results and making recommendations to stakeholders. Ensure compliance to policy through data analysis and monitoring. Create efficiencies and streamline processes through analysis. Establish understanding of processes by bridging the gap between operational and analytical concepts through communication. Support the achievement of the business strategy; objectives and values by reviewing Nedbank and Business Unit Plan and ensuring delivered systems; process; services and solutions are aligned. Enable skilling and required corrective action to take place by sharing knowledge and industry trends with team and stakeholders during formal and informal interactionObtain buy-in for developing new and/or enhanced processes (e.g. operational processes) that will improve the functioning of stakeholders' businesses by highlighting benefits in support of the implementation of recommendations.